During the American Civil War, Clara Barton worked to bring supplies and supportive services to the soldiers in the field. One of the services that she provided involved correspondence between those soldiers, their families, and friends back home. By establishing the American Red Cross in 1881, Barton laid the foundation for one of the most important functions of The American Red Cross today—Service to Armed Forces and the Hero Care Network. The network provides emergency communication support and referral services for military members in need, including active military soldiers, retirees, veterans, and family members. It often means notifying a service member about a family emergency back at home. Jonathan Ramey, a Captain in the U.S. Army, had recently been transferred from Fort Huachuca in Arizona, to Joint Base Lewis-McChord (JBLM) in Washington State when his mother used the Hero Care Network to contact him. Ramey’s father was losing his battle with cancer and his family wanted him home as quickly as possible. He says his new unit, “didn’t know me in the least, but my mother put in a Red Cross message which was routed through chain of command.” The process ensured Ramey was able to get home and spend quality time with his father before his passing. Ramey says notification from the Hero Care Network “provides a verifiable, consistent feed of information from medical professionals that soldiers might not be able to provide” on their own. He believes that the professionalism of the Red Cross plays a key role, and that this can “lead commanders to a better understanding” of the need. Mama says that notification services about family emergencies or joyful events (like the announcement of a newborn baby) are only part of what the Hero Care Network provides. The program also works on behalf of military aid societies to process financial assistance for emergency travel. This program provides a way for the Red Cross to continue the work that Clara Barton began in the 1800s. Helping the Armed Forces and their families was the base upon which the operation was built. 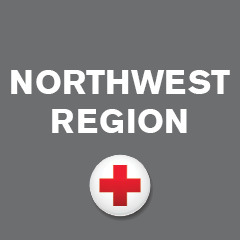 In 2016, the Northwest Region Red Cross served 4,523 cases, providing vital resources to military personnel and their families. Helping Jonathan Ramey return to his family in a time of crisis is a good example of how the Hero Care Network works to help those in need. The emergency communication services that the program provides help keep military personnel and their families connected, which works for the betterment of all. If you have a family emergency, contact the Red Cross at 877-272-7337 or online at redcross.org/HeroCareNetwork, 24 hours a day, 7 days a week. If you are overseas or at a deployed location, you can also contact your local Red Cross staff for assistance. 3. Text GETHEROCARE to 90999 to receive a link to download the app. Next #help1family on Red Cross Giving Day!